Recently, I had an opportunity to speak with Best Seller, Tenita Johnson, about marketing, publishing books, and her notorious Red Ink Conference. The nuggets she shares are worth you taking a listen too! As always, ensure you comment and share this vlog post! 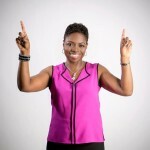 Sue-Ham Interviews Best Seller Tenita Johnson: What’s Your Take On This Blog Post? Comment below and share it! This article was written by..